Sumer is a digital board game inspired by M.U.L.E. and the Epic of Gilgamesh. Race across the Ziggurat in ancient Sumer to harvest barley, herd goats, and sacrifice to the great goddess Inanna. Sumer draws on modern Eurogame design elements like worker placement, territory control, and auctions. Its unique innovation is to place these into an action video game. In this exclusive interview, Jan van der Crabben, CEO and Founder of Ancient History Encyclopedia (AHE), sat down with developers of Sumer at Game Developer’s Conference 2016 in San Francisco as they walk us through their accomplishments. JC: You’re working on a game called Sumer. Tell me a little bit about this game and how it’s played. 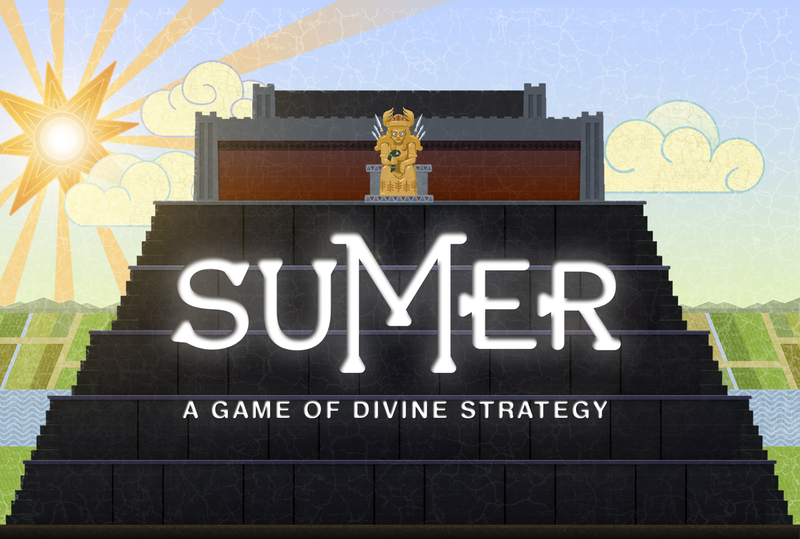 Sumer: Sumer is a digital board game where players perfom ritual sacrifices to the goddess Inanna, aiming to become the first to rule humanity by her side. 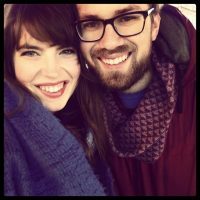 The team is currently raising money to complete the project. Support this educational game on Kickstarter and secure your copy! It takes place on a ziggurat that’s divided up into sections and looks much like the board for a regular board game. You control a noble, running and jumping around the ziggurat to collect resources and sacrifice them in rituals to gain points. There’s also an exciting auction phase where you change your bid in real time, trying to dupe your opponents and get the best deals. It’s a unique blend of action and strategy that hasn’t really been done this way before. JC: Can you tell me a bit about your team’s background. Who are you and why did you choose ancient Sumer as a subject? Sumer: The team’s four core members are Misha Favorov, Sig Gunnarsson, Josh Raab, and Geoffrey Suthers. We met at the NYU Game Center pursuing graduate degrees in games and decided to collaborate on Sumer for our master’s thesis. We all have different backgrounds in the humanities, ranging from English literature to ancient history to anthropology to creative writing, and we all share a dual passion for board games and video games. Ancient Sumer was appealing because we wanted our game to be about building up a city from nothing, and that’s exactly what the Sumerians were doing since they pretty much invented cities! JC: What sources did you draw inspiration from when designing the game? Sumer: The Sumerian side of things came from looking at their art, literature, mythology, and history. Geoff checked out half the books on Mesopotamia in the NYU library and became our resident expert, and Josh reread the Epic of Gilgamesh and other literary texts for some initial inspiration. Sumer is tough because they lived 2500 years before the first histories and 5000 years before the present day, so we have to rely on fragments of writing and archaeological evidence to piece together what their culture might have been like. We worked with professors from NYU and elsewhere to try and make sure we got things right from a historical perspective, at least as far as possible given the limitations. As for the game design, the single biggest inspiration was M.U.L.E., an Atari game from 1983. It’s a total masterpiece, but kind of a lost classic – not many people in our generation have even heard of it. It’s basically an economic simulation where players settle an alien planet and try to win by harvesting resources and competing in auctions (sound familiar?) We learned about it in our first semester of grad school, and after playing a remake we were able to extract a ton of lessons about how to make a game like Sumer. We even had maxims from the designer, Dani Berry, posted up on the wall of our thesis room. A few other major game inspirations in a sentence each: The Yawhg showed us that local multiplayer can be so much more than just running around and killing each other. TowerFall, Nidhogg, and Samurai Gunn (which are about running around and killing each other) helped get us into local multiplayer in the first place. 7 Grand Steps inspired us with its aesthetics and complex systems based on simple interactions. Lords of Waterdeep directly inspired our core mechanics, and Caylus helped us refine them. JC: Would you say that players will learn something about ancient Sumer by playing your game? Sumer: Definitely! It’s not an “educational game” by any means but it will, for example, teach players about Inanna, one of the most powerful and important Sumerian deities. It’ll give people a feel for Sumerian art and culture, and hopefully inspire them to go learn more. One of the best things a game like Sumer can accomplish is to spark a love of ancient history, even if it’s just for a small percentage of players. JC: Where are you right now in the development, and what’s next? Sumer: The game is fully playable, but isn’t yet publicly available. The core gameplay has been tested pretty thoroughly and we’re satisfied that it’s fun and balanced, though we’ll no doubt continue to iterate on the design. We’re still polishing up a few bits like the tutorial, and we’re hoping to add more music, art, and voiceover. The most daunting task that remains is to add online play, which we expect to take several months. However, you’ll be able to play locally with your friends and against the AI very soon. JC: When can our readers expect to get their hands on the game? Sumer: We’re actually launching a Kickstarter campaign this week! On Wednesday, April 20th you’ll be able to support Sumer’s development and secure a copy by backing it on Kickstarter. If you do, you’ll get the game on PC and Mac via Steam Early Access as soon as it’s available, probably within a few weeks. The full release is slated for the end of the year, once online play is finished. We’re also looking into releasing on consoles and other platforms, depending on how the Kickstarter goes. We’re looking forward to building a community and getting feedback from players, so if people want to have a say in Sumer’s development we hope they’ll back us and get in on the Early Access release! Geoffrey Suthers studied game design and games for learning at the Steinhardt school of New York University. Previously he studied anthropology, theatre and taught preschool and elementary students for six years. 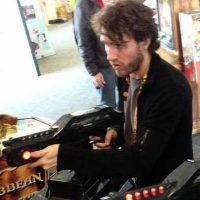 As Producer and Designer at Sumergame.com he hopes to bridge his passion for teaching with his love of games. Sig Gunnarsson studied for an MFA degree in Game Design at the NYU Game Center and previously completed a degree in Creative Writing and Philosophy. With this background he brings to his role as Art Director, Designer and Programmer at Sumergame.com his special interest in narrative design, game mechanics and board games. 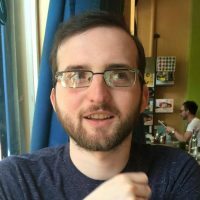 Josh Raab also studied for a MFA in Game Design from NYU Game Center. 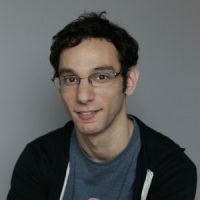 His previous experience in game design, production, and audio design provided him with a useful skill set to be Lead Designer, Sound Director and Programmer at Sumergame.com. All images featured in this interview are attributed to Sumergame.com. Special thanks is extended to Geoffrey Suthers for facilitating this interview. Unauthorized reproduction is strictly prohibited. All rights reserved. © AHE 2016. Please contact us for rights to republication.